For sure, this is unfamiliar ground to any leader – to be openly challenged. Call it democracy, but it looks more like an open rebel. Love him or loath him, only Anwar can glue the PH government in Tun Dr Mahathir Mohamad’s absence. 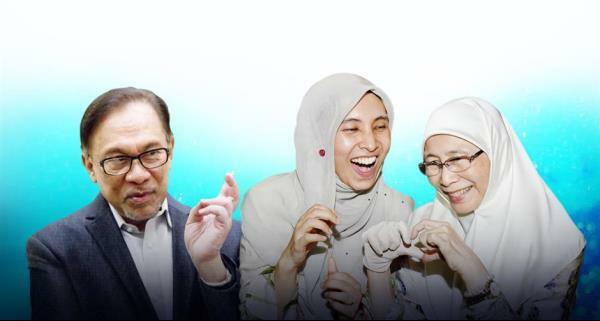 Once Anwar is elected MP and eventually becomes Prime Minister, the full breadth of his ability will be on display, courtesy of his authority and power as a leader. Every constituent would want the serving PM as their MP, so the same can be said for PD. Surely, they can see the preferential treatment accorded to Langkawi and Pekan. 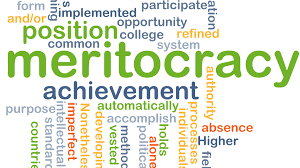 Then there is the issue of family dynasty, but let’s not get into this because the Lim brood has two MPs and a senator, the Karpal clan has two MPs and one state assemblymen, and of course, there’s the PM and his Mentri Besar son. Credit: On The Beat , Wong Chun Wai - The Star's managing director/chief executive officer and formerly the group chief editor. Well, at least that is the plan, unless Mahathir moves first and scuttles this plan. Now, what was that again about Malaysia being a boring country to live in? Let me tell you, even the UK and the US, which are also in political turmoil, are not as interesting as Malaysia. And I think I will support Mahathir just to see Anwar fail and to make sure the rollercoaster ride ends here, once and for all. If it comes down to whether to support Tun Dr Mahathir Mohamad or Anwar Ibrahim, in 1998 I supported Anwar (although I did not like both). Today, I would support Dr Mahathir rather than Anwar (even though I still do not like both). The issue here is between the lesser of the two evils, as the Pakatan Harapan people, in particular the DAP Chinese, have been telling us since 2015. So, it is not whether you support the angel or the devil but more like which of the two devils you prefer. I suppose, to be able to stay as Prime Minister for 22 years, survive so many ‘assassination’ attempts over those 22 years, and to be able to come back 15 years later for a second round, you really need to be a devil. Now, the reason why I prefer Mahathir over Anwar is because Anwar has been taking us for a rollercoaster ride for the last 40 years or so and that ride is still not over. Now we are going for yet another rollercoaster ride with the ‘PD Move’ after the most disastrous ‘Kajang Move’ that took us nowhere. With Anwar you do not know whether you are coming or going. One day we are asked to go east and another day we are told to go west. And while Anwar confuses us with the change of direction from east to west, we find out that he is going north while leaving us all behind. Say what you like about Mahathir, but when you serve him he looks after you well. He never abandons ship and allows you to drown. If you are loyal to Mahathir he is loyal to you in return. Anwar, however, is another kettle of fish. He uses you to serve his agenda and when you are no longer useful to him he discards you. Your loyalty is not repaid. In fact, your loyalty is betrayed. And this is what makes Mahathir a better ‘boss’ compared to Anwar. Back in 2006 when I used to go to Mahathir’s house to meet him, he would wait for me at the door and walk me to my car when we leave. That ‘small gesture’ meant a lot considering he was the ex-Prime Minister. Do not expect that from Anwar. He would sit on his throne and expect you to pay him homage. In 2008, the day I was released from ISA detention, Mahathir phoned me to ask how I was. That phone call made my day and convinced me that Mahathir cares about the people who work for him or with him. On the other hand, I had to make an appointment to meet Anwar and only managed to see him two weeks later. And when I met him he never inquired about my health. He just spoke about how he is going to come back as Prime Minister — as if I cared whether he becomes Prime Minister or not. As I said, for more than 40 years Anwar has been taking us on a rollercoaster ride and with him we really do not know whether we are coming or going. In the 1970s, I supported Anwar Ibrahim because he supported PAS — and I also supported PAS after I moved to Terengganu in 1974. 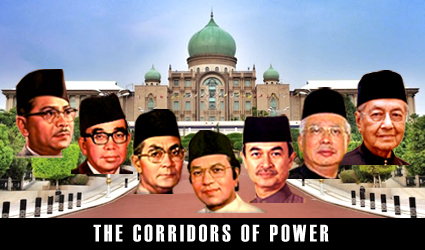 In 1982, Anwar abandoned us and defected to Umno in what I considered a betrayal. But when Anwar needed to challenge the Umno Youth leader, Suhaimi Kamaruddin, and he did not have the ‘machinery’, he came back to us for help. Anwar promised if he wins the Umno Youth leadership he will make Umno more Islamic. Ustaz Fadzil Muhammad Noor, the late PAS President, told us to give Anwar a chance so we supported Anwar in his challenge for the Umno Youth leadership. 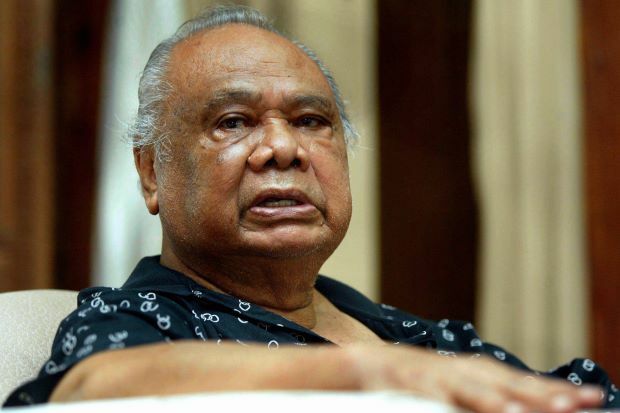 In 1987, Tengku Razaleigh Hamzah (Ku Li) challenged Mahathir for the Umno presidency (while Tun Musa Hitam challenged Tun Ghafar Baba for number two). Anwar instructed us to support Mahathir and Ghafar (even though at that time most of us preferred Ku Li). Then we realised why Anwar instructed us to support Mahathir and Ghafar. If Ku Li and Musa wins, Anwar is finished. If Mahathir and Ghafar wins instead, Anwar can oust Ghafar and take over as number two and then oust Mahathir and take over as number one. That was already Anwar’s plan in 1987. In 1993, Anwar challenged Ghafar for the Umno Deputy Presidency but I refused to support him and left his team. This is because Anwar was being funded by Vincent Tan and hundreds of millions was being spent to oust Ghafar — RM200 million in Sabah alone. 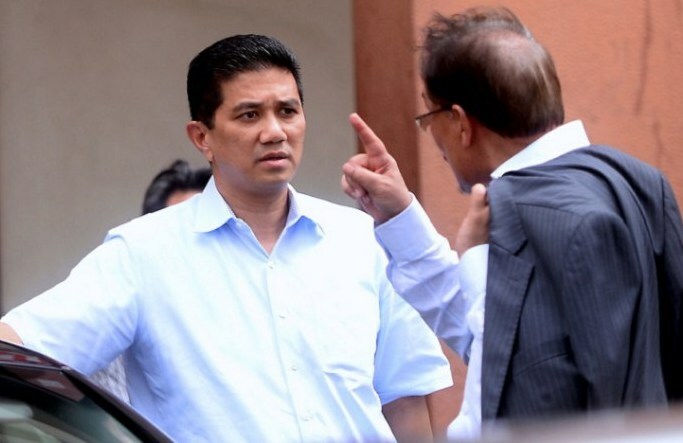 Because Ghafar could not match Anwar’s financial onslaught, he backed out and allowed Anwar to win uncontested. 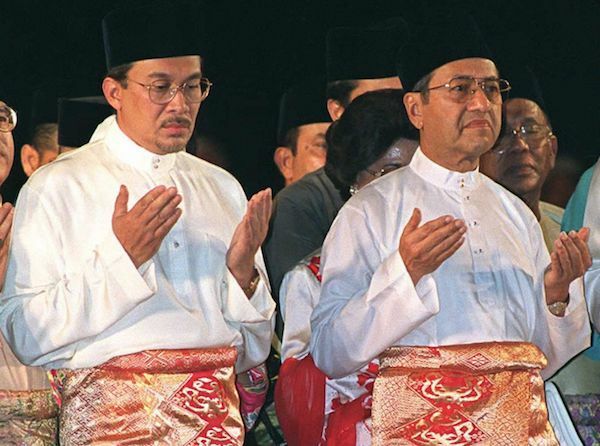 Four years later, in 1997, Anwar made his move to oust Mahathir but Mahathir was ready for him. This time Anwar was outfoxed by the old fox. Fast-forward to 2018. Anwar is yet again preparing to challenge Mahathir for the post of Prime Minister. We would think he would have learned his lesson from the 1997 fiasco. Anwar wants to be back in Parliament by October in time for the November session. Anwar’s plan is simple. He wants to do a deal with Umno and PAS and create a new or third coalition (let’s call it Barisan Rakyat). 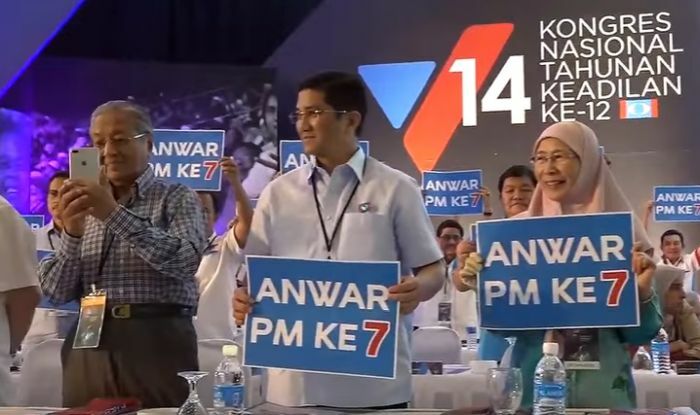 Anwar wants to make sure that Rafizi Ramli wins the PKR deputy presidency and he expects Azmin Ali to leave PKR with his supporters and join PPBM. Anwar has been talking to Taib Mahmud and Shafie Apdal to get Sarawak and Sabah to join his new coalition. With half of Umno, more than half of PKR, PAS, Sabah and Sarawak, Anwar can get enough majority to form a government. And, by Christmas, ‘Malaysia Lagi Baru’ will have ‘Barisan Rakyat’ running the country with Anwar as Prime Minister and Ahmad Zahid Hamidi as Deputy Prime Minister — and with another two Deputy Prime Ministers, most likely from PAS and Sabah-Sarawak.